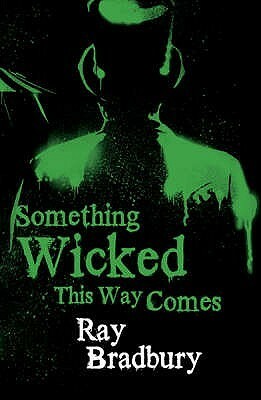 So, two out of two for Ray Bradbury then so far! 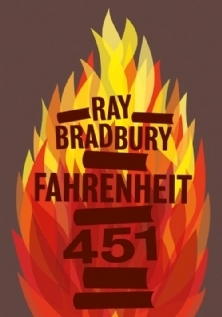 First, Something Wicked – which was just excellent and then the thought provoking and shocking Fahrenheit 451 which has kept me thinking for days! This is an excellent story, quite serious and very well written. The setting is a futuristic America, no place specific made mention of exactly (I don’t think). The main protagonist is Guy Montag, a regular, everyday fireman! Goes to work and comes home to his loving wife. Okay, scrap that. Nothing is ever as simple as it seems and the world in which Guy now lives is a strange dystopian world where the only need for firemen is to burn the few remaining books that have survived this strange world! Yes, Guy burns books – in fact all the firemen burn books. Guy then goes home where his wife, headphones placed firmly in her dainty ears listens fixedly to her three tv walls! She only needs the fourth wall to have a full house (pun intended – and sorry!). Then, one day, as Guy walks home, feeling feelings that he doesn’t really understand he meets his new neighbour – a young 17 year old girl called Clarisse. She comes across almost ethereal in this strange world of enforced living zombyism! She throws Guy’s world seemingly into turmoil by simply asking him if he’s happy. And from there things start to unravel at quite apace and in a frightening way. I’m not really going to go into the plot. This isn’t a new book so I’m sure it’s not possible to really give away spoilers at this stage but I still think this book is best read with little advance warning as basically you start off reading thinking everything is relatively normal. Then you think ‘hold the phone’ followed swiftly by ‘what’ and ‘no way!’. This may start off as a narrative of a relatively everyday man, living his life relatively normally until little by little Bradbury deconstructs that idea and tiny piece by piece shows you how completely different this world he has created really is. People living their small lives, disconnected from each other and reality, soaked in tv with their only reading matter cheap magazines, fueling their unhappy lives behind closed doors, lacking conversation and thought. I thought this was a really good read. It’s thought provoking. I’m not entirely sure whether Bradbury is trying to get across a tale of censorship (and it’s also not clear how this situation was ever reached – other than it appears that ‘they in power’ seem to think reading is troublesome) or whether he was simply expressing through this story his possible concerns about the influence of other forms of media and entertainment and how this would affect people’s lives and reading habits. It’s certainly easy enough to see the effect that tv has had on Guy’s wife who is almost addicted to her living room walls where the tvs have become her family and all she longs for is a fourth wall of tv – and yet, actually she’s not happy really. The same with Guy. He started the story doing his job but with inner remote niggles. All of a sudden he finds himself longing for the conversations that he imagines his next door neighbours have as they stay awake into the early hours of the morning in their brightly lit and animated house where conversations seem to take place. Somewhat of a sad read, definitely shocking and incredibly thought provoking. I’m glad I read this and would have no hesitation in recommending it to others. A masterpiece of dystopia. I’m submitting this book as one of my reads for the Little Red Reviewer’s Vintage Sci Fi event and also Stainless Steel Droppings 2015 Sci Fi Experience.